SHINE manufactures custom cable assemblies that meet demanding requirements for quality, cost, and manufacturability. 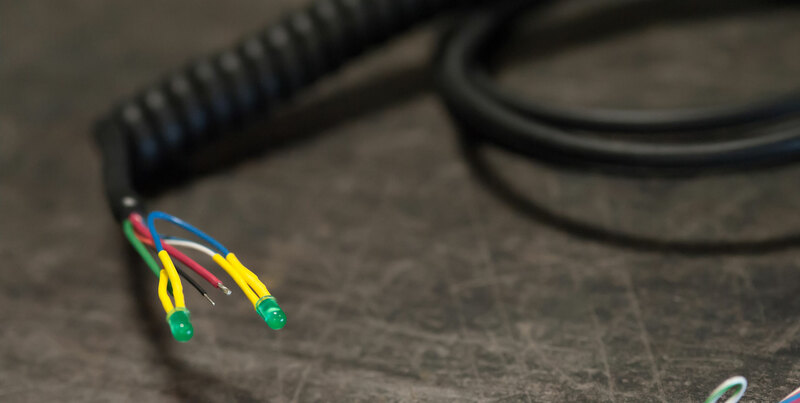 Our cable assembly services help you to enhance product quality while reducing risk, optimizing available space, and speeding installation times. Custom cable assemblies aren’t just collections of wires and cables that transmit electrical power or communications signals. They promote the performance of mechanical and electronic systems. That’s why choosing the right cable assembly manufacturer is so important. What are the requirements for your cable assembly application? Do you need cable assembly design assistance and help with component selection, too? Before choosing a cable assembly manufacturer, it helps to review some past projects. Here are some examples of custom cable assemblies from our portfolio. What else would you like to learn about SHINE’s experience with custom cable assemblies? Did you know that we provide electro-mechanical assembly and wire harnessing services, too? Whether you’re ready to receive a quote or just want more information, we’d like to hear from you.